The Chinese Lantern Festival, which falls on the 15th day of the first month on the Chinese lunar calendar, or March 5 in 2015, marks the end of more than two weeks of Chinese New Year celebrations each year. Solving “lantern riddles” is among the many popular traditional activities for the festival, which include eating round yuanxiao sweet dumplings, enjoying the full moon, and delighting in colourful lighted lantern displays. These guessing games are called lantern riddles because they involve riddles written on lanterns or on slips of paper attached to lanterns. They often contain messages of wisdom and good fortune, and give children and others of all ages the opportunity to have fun while practicing language and problem-solving skills. Many classic riddles refer to Chinese characters, idioms, historical figures, literary references, or names of cities and other locations in China. People must guess the answer by pondering the often multiple meanings of the words and phrases that make up the riddle. A tip may be provided, such as to indicate whether the answer is a person, place, thing, or reasoning. 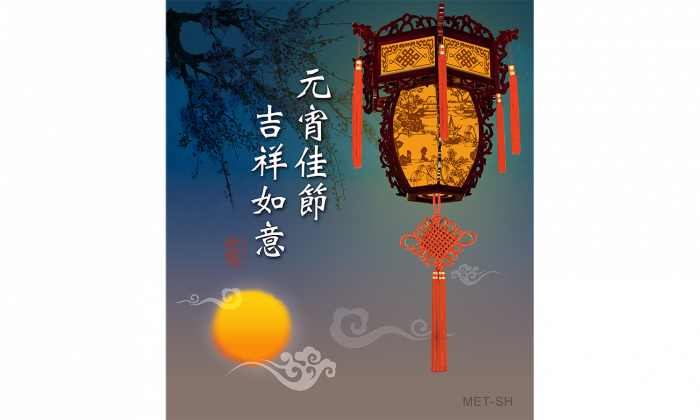 Lantern riddles are called 燈謎 (dēng mí) in Chinese, where 燈 (dēng) is a lantern, lamp, or light, and 謎 (mí) refers to a puzzle, riddle, enigma, or conundrum. 1. This lovely maiden eats no meat but eats leaves. She labours each day spinning and weaving for the benefit of others. Who is she? 2. He devotes his life to looking after the house. His mate always follows when the master goes out. A gentleman sees him and goes away. A villain sees him and it spells bad luck. Who is he? 3. Use the 10 letters ACDEHIJLNP to spell out the names of four countries. Each name must be five letters long, and the four countries must be neighbours. 4. It’s been around for millions of years, but it’s no more than a month old. What is it? 5. What belongs to you but others use it more than you do? 6. It works hard all its life, counting numbers day and night, but never gets past 12. What is it? 7. They look like twin brothers, both sturdy and tall. They work together and go everywhere together. But they only go near solid food and do not care for soup. Who are they? 8. I can follow you for thousands of miles and not miss home. I do not fear cold or fire, and I desire neither food nor drink. But I disappear when the sun sets behind the western mountains. Who am I? 2. A lock. When a gentleman sees it, he knows the master is away and he will leave and come back later. When a villain sees it, he will pry it open and break into the house. 3. JAPAN, CHINA, NEPAL, INDIA. 4. The face of the moon, which “disappears” before it is a month old and has been around for a long time. 7. A pair of chopsticks.